UNBEATEN entire The Storm Inside will take another step towards reclaiming his position at the top of his crop at Tabcorp Park Melton on Saturday night. Australia’s premier freshman in 2016, The Storm Inside was limited to just a start as a three-year-old. Returning from an 18-month break last month, the Australian Pacing Gold graduate has won his four outings in effortless fashion. As for his pending assignment, the Emma Stewart-trained son of Rocknroll Hanover will tackle the Breeders’ Crown Championship. Despite his perfect record, the four-year-old is on the second line of better at $4.50 after drawing the outside of the second row. Stewart, however, has no doubt The Storm Inside can continue his winning streak. “The draw isn’t the best, but he is going well enough to win,” Stewart said. “After four starts back he is right at his peak. 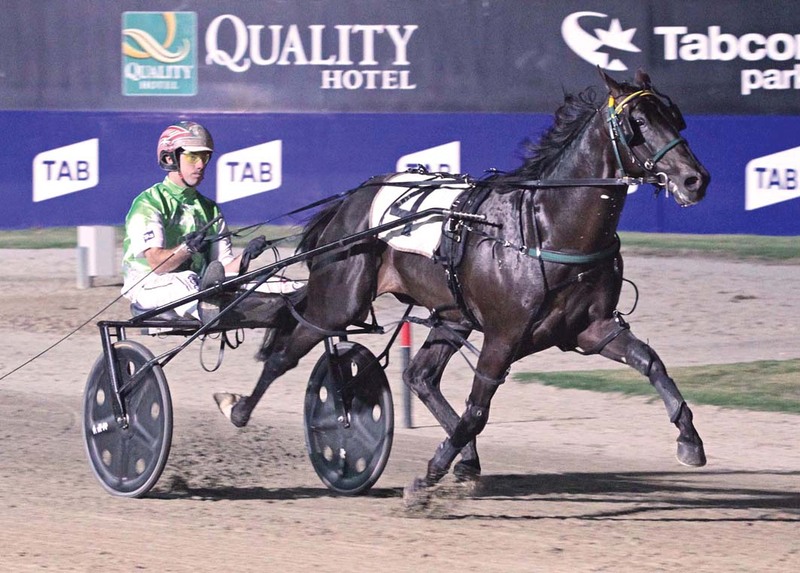 Stewart considers recent Vicbred Super Series Final winner Wrappers Delight as the one to beat from barrier five. Also an Australian Pacing Gold graduate, Wrappers Delight is listed as a $1.80 favourite.